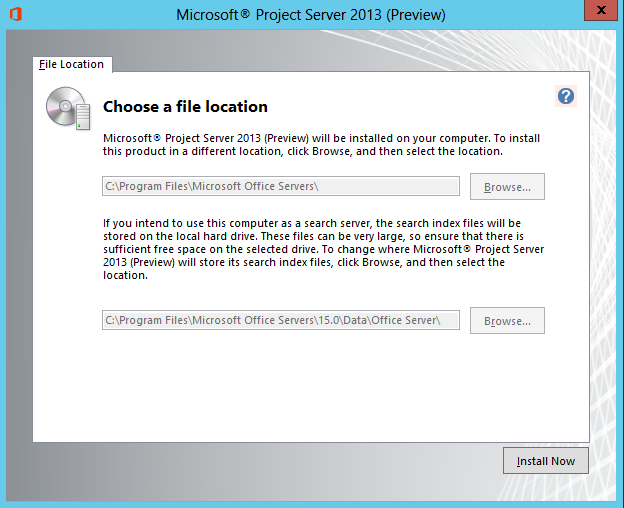 Microsoft announced the release of the August 2013 Cumulative Update (CU) for Project and Project Server 2010 and 2013. After installing this Cumulative Update, there were some problems though! Last week, I was working on my demo environment to be used for some future presentations. 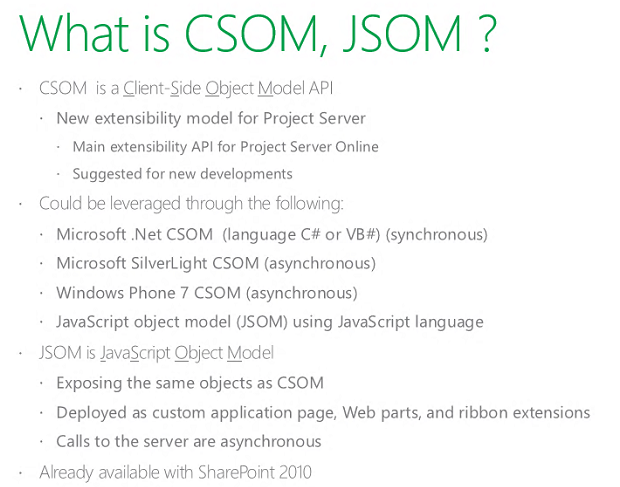 When I was looking around on the great MSDN world to get some best practices related to a Project Server 2013 Preview installation, I came across a link called: “Install Project Server 2013 with Powershell” by Jime Cox. 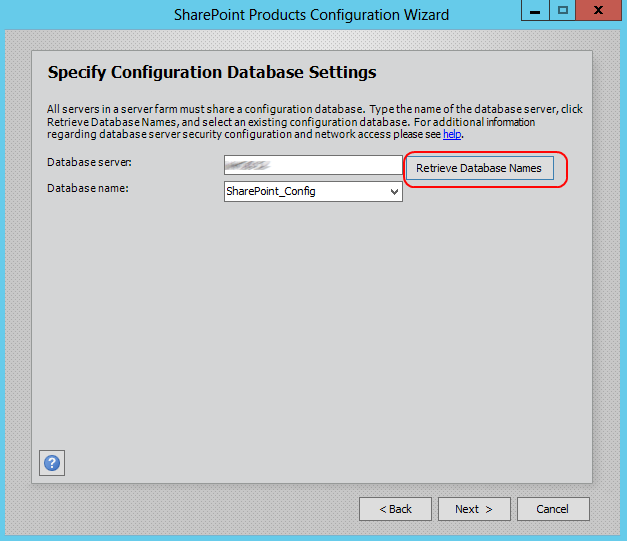 That sounds really cool, although is easy to memorize the steps to install Project Server through Central Admin after you have done it a few times, it’s more fun to automate this process and adjust it to your own needs. And that’s where the PowerShell part is rocking! 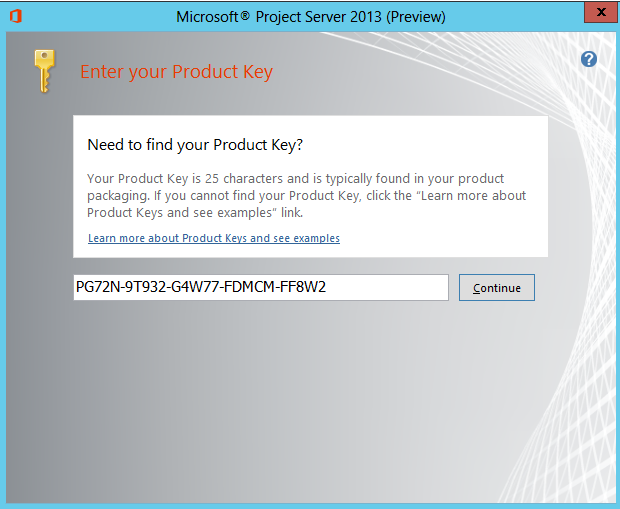 In this post, I want to provide my experience about the installation of Project Server 2013 Preview using the PowerShell script. Next step is to click ‘Install Now’. This will start the actual installation. 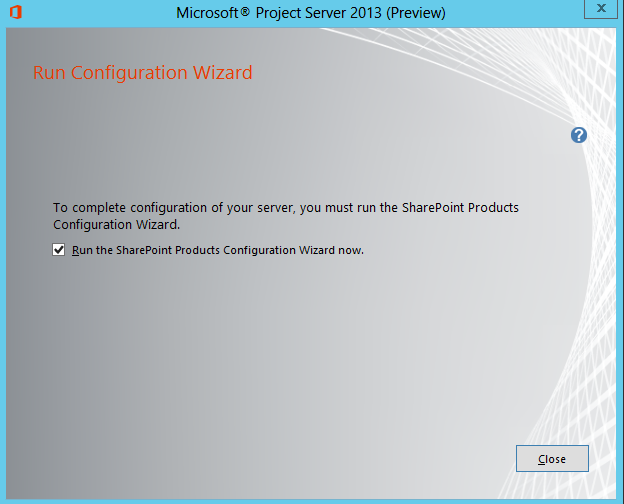 When the installation is ready, it will ask to ‘Run the SharePoint Products Configuration Wizard’. 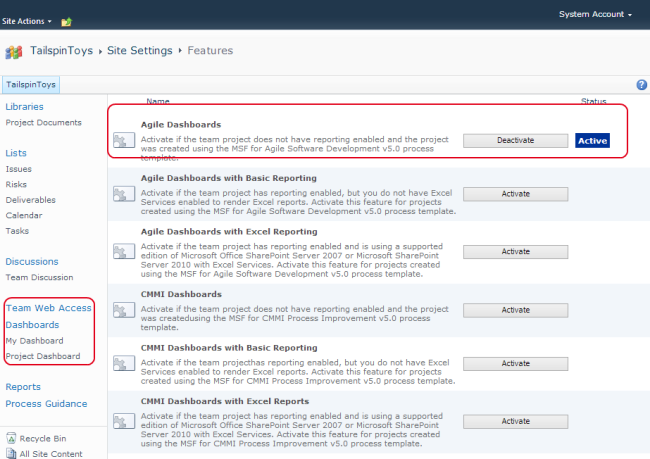 Leave the check box active, and click ‘Close‘. 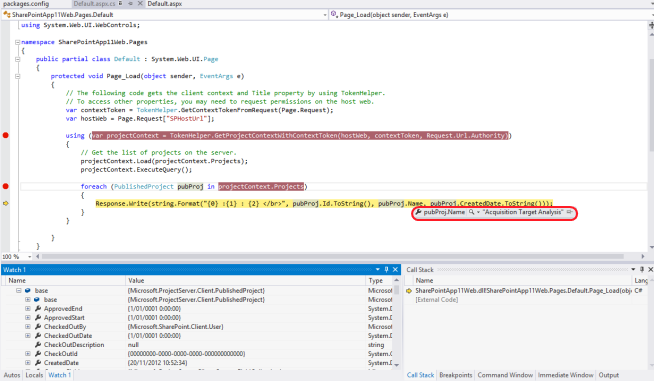 Personally, I really love PowerShell when you execute it with the PowerShell ISE (Integrated Scripting Environment). This way, you can debug and re-factor your scripts very quickly. 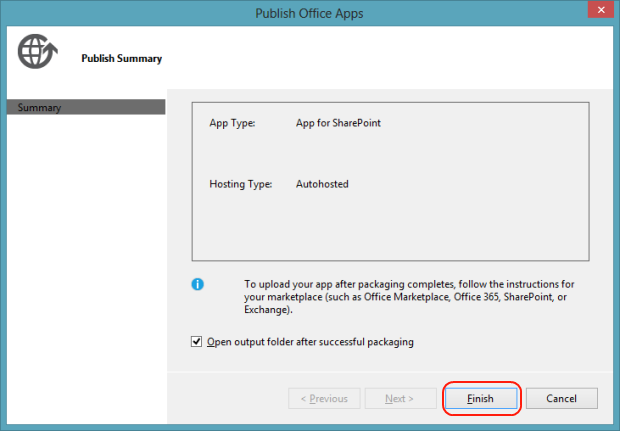 First part of the script is required if you run the script directly from the PowerShell ISE. 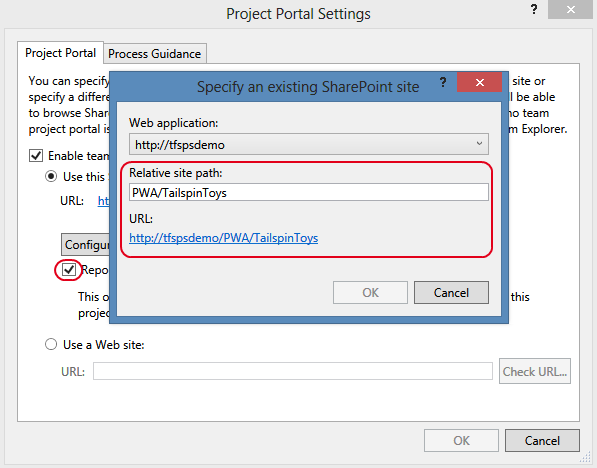 What it does is loading the required SharePoint functions into your PowerShell session. 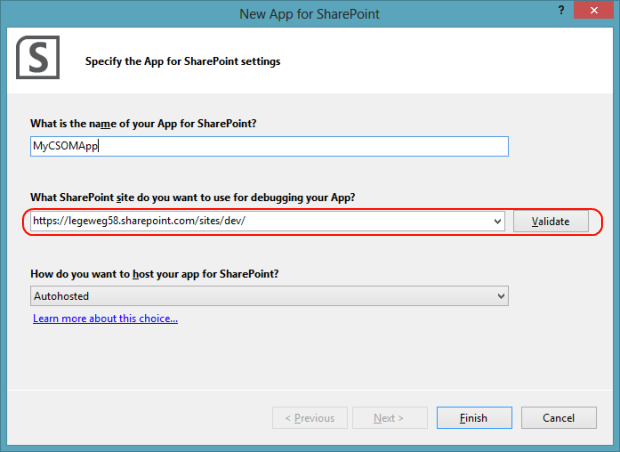 If you run the script directly from the SharePoint PowerShell command line tool, you don’t need to do this. NOTE: You need to execute the scripts with your Farm Admin account. This way, you will never get permission errors! Next part is the definition of the variables. 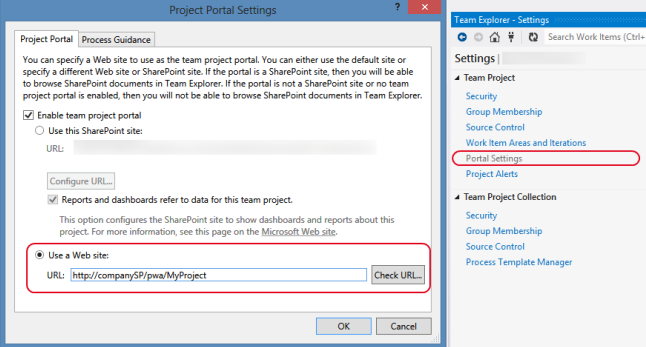 They contain the URL’s, accounts, your SQL server,..
# Set your variables $HostHeader = "sharepoint.local.ad" $WebAppName = "Project Server 2013 Web App" $ProjectAppPool = "ProjectServer2013AppPool" $SvcAppName = "Project Server 2013 Service App" $PwaName = "PWA" $WebAppPort = 80 $WebAppURL = "http://sharepoint.local.ad/" # I am using host header and DNS $PwaWeb = "http://sharepoint.local.ad/PWA" $PWAContentdb = "Project_Server_Content_2013" $ProjectDataDb = "Project_Server_Data_2013" $FarmAdmin = "local\spadmin" $PWAAdmin = "local\pwaadmin" $SqlServer = "slqerver"
$WebAppName = "Project Server 2013 Web App"
$SvcAppName = "Project Server 2013 Service App"
Write-Host -ForegroundColor Yellow "SharePoint 2013 Timer Service is not running. Atempting to start the timer." 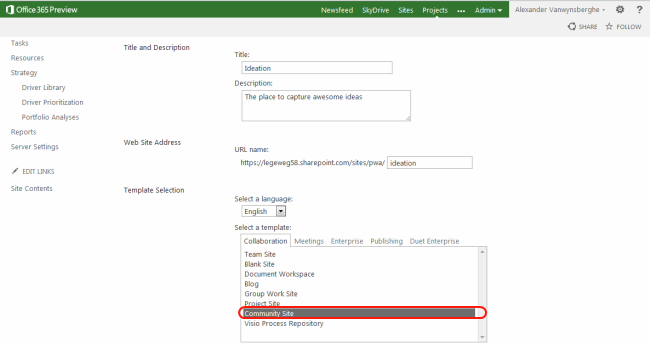 Write-Host -ForegroundColor Green "SharePoint 2013 Timer Service is running." 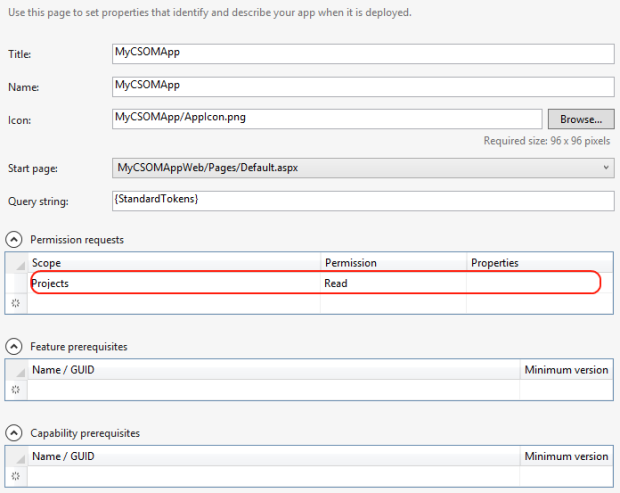 In this next part, the Project Server Application Service is checked. 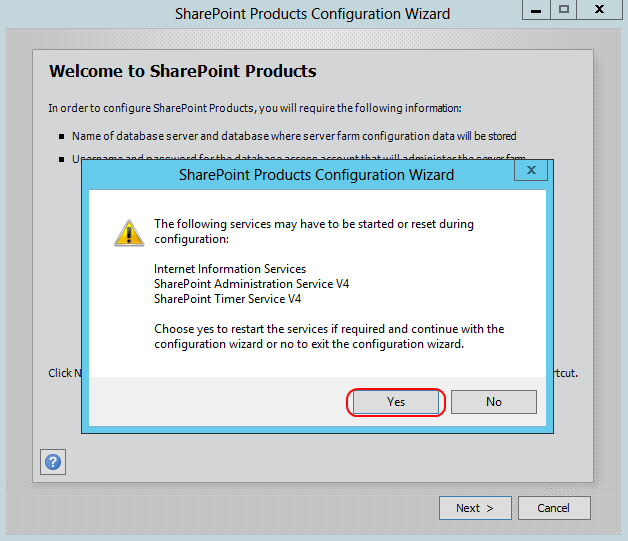 If you did not install Project Server on your SharePoint Application server(s), this should result in an error. 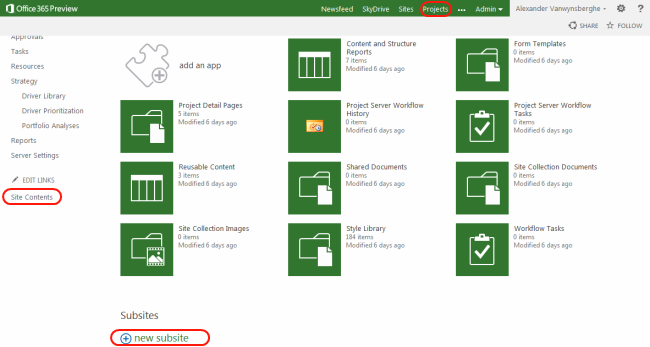 If the Service Instance is not online yet, the script will try to start it. Write-Host "`nHere are all PS Service Instances across farm"
Write-Host "Project Server instance already started"
Now the fun part. 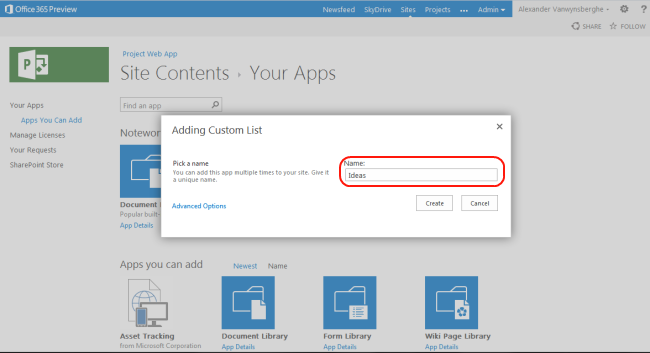 In this step, we will create an Application Pool and a Web App. The FarmAdmin account is used as Application Pool Account. 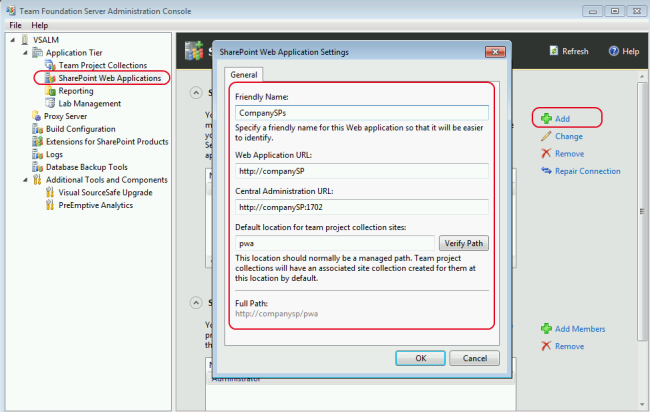 The second part of this piece will create a web application, using the application pool we’ve just create. It will also create a Content Database. # to keep it simple for now, we will have to change this script to Claims later. 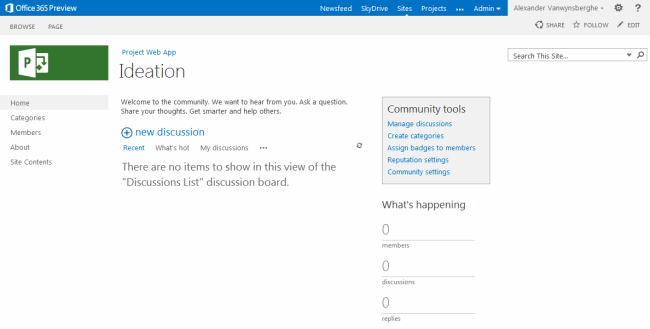 Now we will create the Project Service Application. It will use the Project Application Pool from the last step. 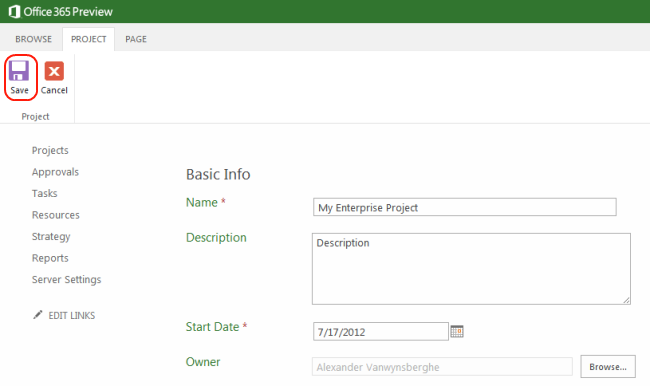 Next step is to create the actual Project Server Database. 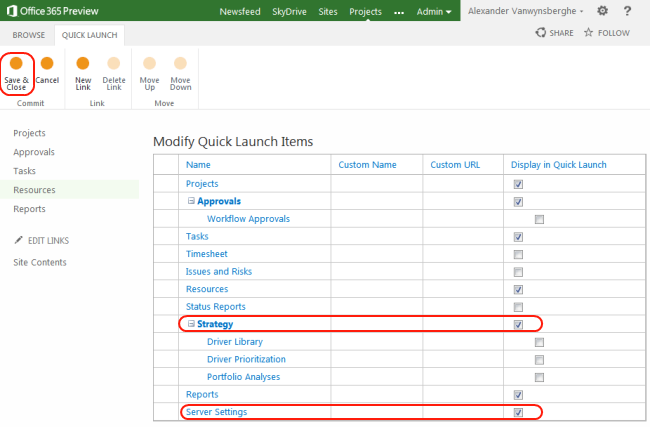 Note that in Project Server 2013, there is only one database, related to Project Server 2010 who has multiple databases. # This is new in 2013. 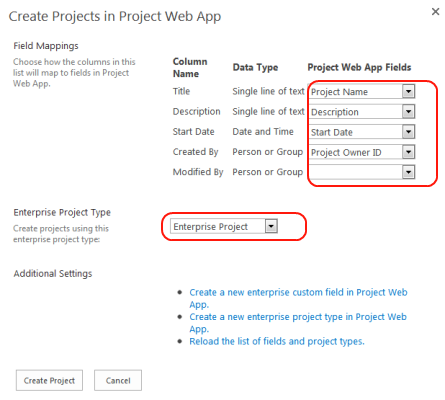 Create a Project database, not 4 databases, just one. 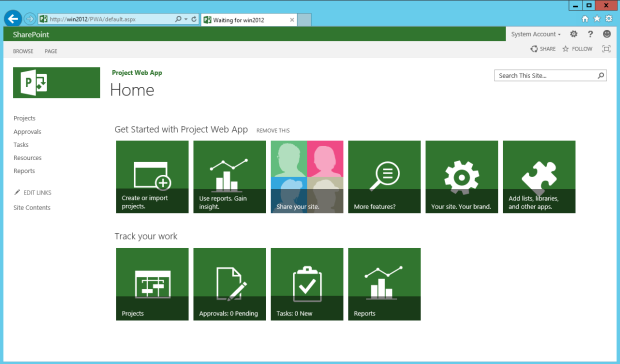 New-SPProjectDatabase -Name $ProjectDataDb -ServiceApplication $SvcAppName -DatabaseServer $SqlServer -Tag "ProjectWebApp1DB"
# This is new in 2013. 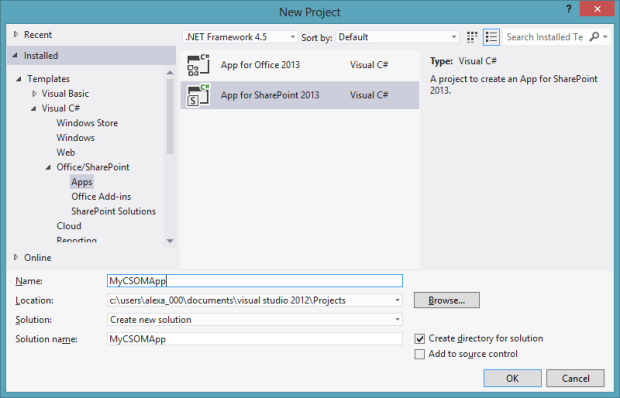 Create a Project database, not 4 databases, just one. 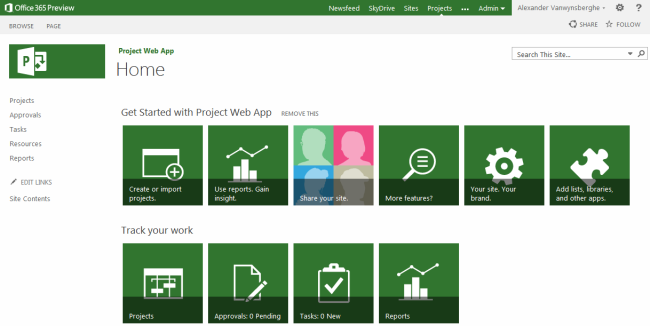 New-SPProjectDatabase -Name $ProjectDataDb -ServiceApplication $SvcAppName -DatabaseServer $SqlServer -Tag "ProjectWebApp1DB"
To create a Project Web App in an existing site collection, you run the Windows PowerShell cmdlet to create the web and then run the Upgrade-SPProjectWebInstance to perform post-provisioning actions, including creating a Business Intelligence Center. When you executed all those steps, you should have your PWA up and running.